The APF28_dev electronic board is an ideal development platform for experimenting and realizing "low cost" embedded linux applications. 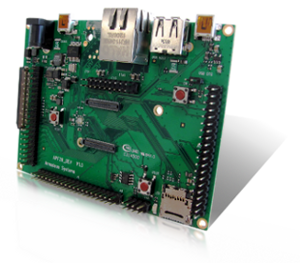 It enables access to most of the APF28 board's functionalities. All the drivers for the board peripherals are available in the armadeus BSP.